Successfully Added Levitating Bluetooth Speaker - 10 Meters Range, 5W Speaker, Rechargable Battery, Bluetooth 4.1, Micro SD Card Slot (Gold) to your Shopping Cart. Floating on a magnetic field and sending out a wave of sound the Bluetooth speaker consists of a magnetic base and a round 5W speaker that gently levitates above it. The Levitating Bluetooth Speaker is operated by an electronically controlled magnetic system. The Bluetooth speaker comes with a magnetic base that will make sure that the small speaker orb is up in the air as it is playing your favourite tracks. Bluetooth connectivity allows for direct music streaming from your electronic device such as your smartphone or tablet PC. The latest Bluetooth version - 4.1, letting you enjoy a fast and stable connection between the speaker and your smartphone or tablet. Whether you are sitting at your desk, at work with your computer or relaxing in the kitchen, you can always find the perfect place to listen to music in true simplicity. Best of all, a built-in microphone lets you have hands free calls when paired with your phone. You can not believe it but it will say the number that dialing when your paired phone gets an incoming call. So you know whether to answer it or just hangup and continue the relaxing with soft music. Even better, the Levitating Bluetooth Speaker can also play music from a Micro SD Card and comes with a built in battery, which lasts for up to 6 hours before needing a charge, so you can take the speaker orb with you round the home or out for entertainment on the go. 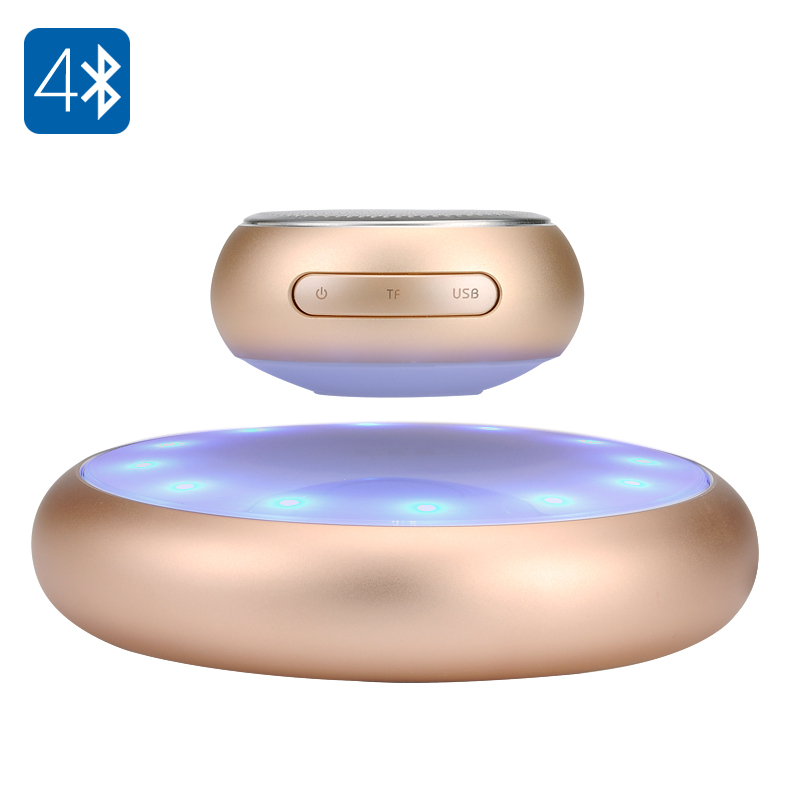 This Levitating Bluetooth Speaker comes with a 12 months warranty, brought to you by the leader in electronic devices as well as wholesale Bluetooth Speakers..